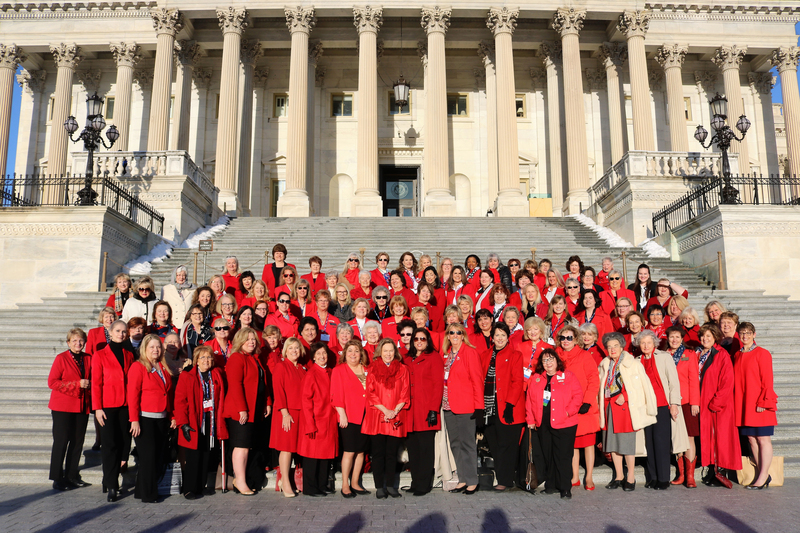 The official photo of NFRW Legislative Day at the U.S. Capitol, 2018. NFRW Legislative Day at the U.S. Capitol gives Republican women from across the nation the opportunity to be briefed directly by Members of Congress on current legislation, to attend committee hearings and other legislative events, to meet with members of their state’s congressional delegation, and to present a united front and make their collective voices heard on Republican issues. Dressed in "Republican Red," attendees take a group photograph with Republican representatives and senators on the Capitol grounds. 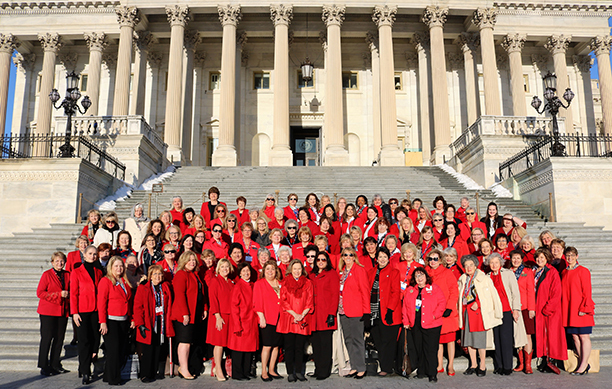 The NFRW began hosting Legislative Day in odd-numbered years in 1999. In 2016, the event was switched to even-numbered years. Many state federations host similar annual or biennial events at their state capitols. NEXT UP: The next Legislative Day event will be held in conjunction with the Spring Board Meeting in 2020.